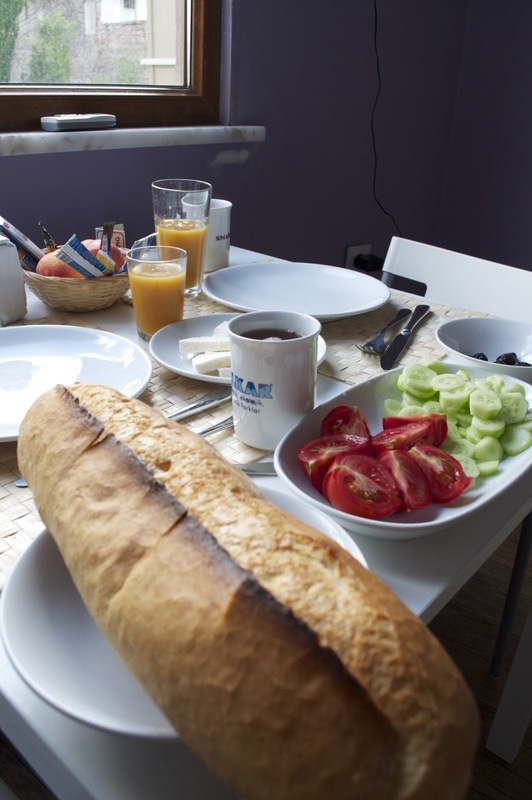 After our breakfast experience in Safranbolu, we thought we'd have a bash at doing our own version with things that you can find in London, and this is the result. A Turkish breakfast (in A's view this would make an excellent lunch) can easily be made in London. 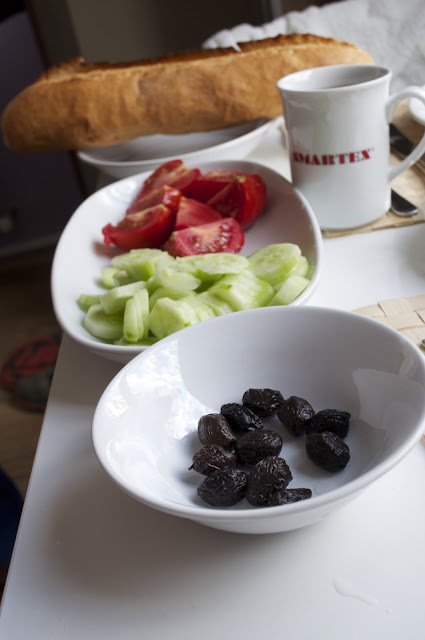 A and C recently took a visit to London Fields (where they also ate excessive amounts of fudge) and happily found all the ingredients you need for a Turkish breakfast; Umut Supermarket stocks Beyaz and Kashar Peynir, the vegetables, olives and Turkish bread. 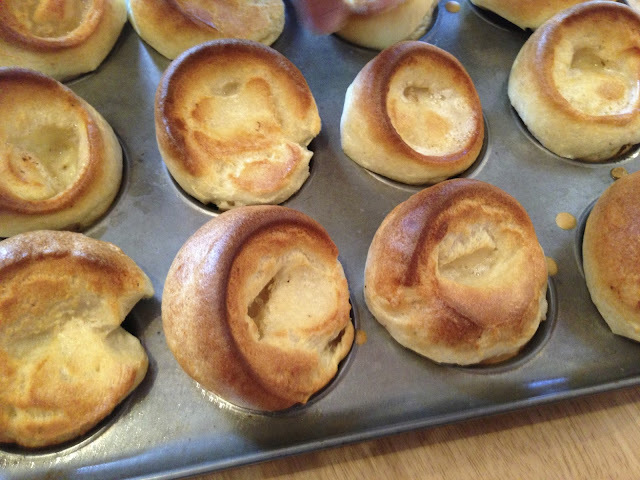 We strongly urge you to go ahead and try this - it's truly delicious. As you can see, ours was not quite as lavish as the Safranbolu offering, but was still pretty tasty. French bread was substituted for Turkish, and we used breakfast tea (albeit Turkish, brought back from our time out there); otherwise, our attempt was pretty much on the money. 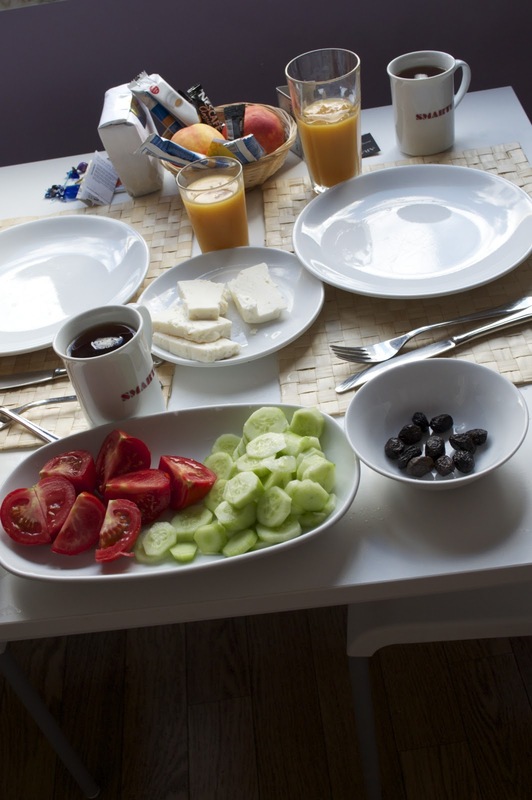 Fresh cucumber and tomatoes, authentic cheese, black olives and fresh fruit were as you would find in Anotolia. A and C really can't recommend eating this type of breakfast highly enough. While the flavours are those which British people would normally associate with lunch, a Turkish breakfast really does set you up well for the day. 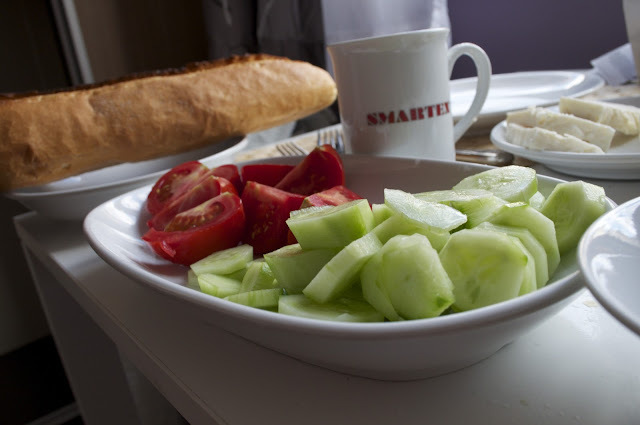 The meal feels light and and refreshing but having cheese and salad for breakfast fills you up until lunch. In addition, it's a visual delight: unlike a fry-up, where food on the plate is all beige or brown (with the exception of the fried tomatoes, beans and the egg yolk if it's done well), a Turkish breakfast is a riot of colour: bright greens, white, reds and oranges (the OJ) ensure that the table is visually stunning. It's healthy too, as there's nothing fried on the table. Compared to a fry up, a Turkish breakfast won't break the bank, provided you don't go mental on the olives or the cheese; our sumptuous weekend brunch was basically purchased on spare change, and we skipped lunch. If you can't find Bayas and Kashar locally, you can always substitute them for Greek alternatives: halloumi and feta. While these slightly different in flavour from their Turkish counterparts, they're similar enough, and can be sourced at just about any supermarket in the UK.